This Reusch glove is unique in the junior range as it features removable ortho-tec finger protection and the G3 latex making it the best Jr glove available on the market. Consider this the Rolls Royce of junior gloves. If you want your youth keeper in the best protection and best grip; look no further! 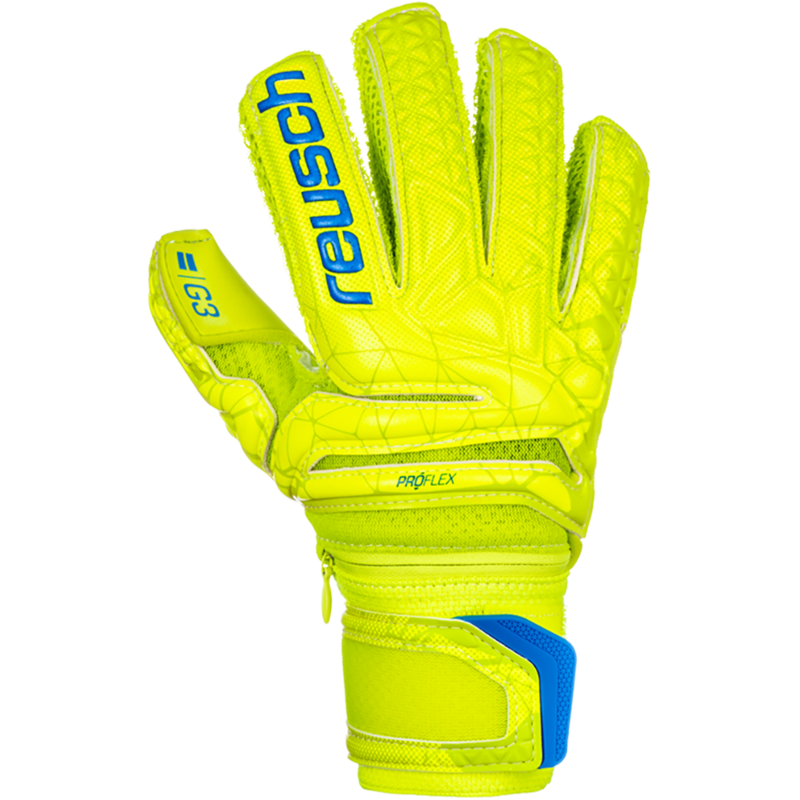 Reusch features the NEW G3 Ultrasoft foam which provides a more grip and durability at the game level. The vibrant yellow palm is sure to draw the shooters eye! Best and purest grip in the Reusch goalkeeper glove range. The German engineered and manufactured G3 Ultrasoft foam is soft and tacky to the touch providing a good balance of grip, integrity, and cushioning in all weather game environments. The 3-D Thumb Crotch rolled construction between the thumb and the index finger eliminates any seams that can bother the keeper in an area that takes a lot of stress.The deep thumb notch on the face of the glove includes an elasticized piece below the foam to help eliminate tear out. The elasticized thread throughout the glove provides more strength throughout the seams of the glove. Yes. Unidirectional spines in the fingers. Reusch has developed a free-floating Ortho-Tec stay system by anchoring the individual fingersaves at the extreme end of the glove fingers and thumbs; thus allowing unsurpassed flexibility and customization in the glove. 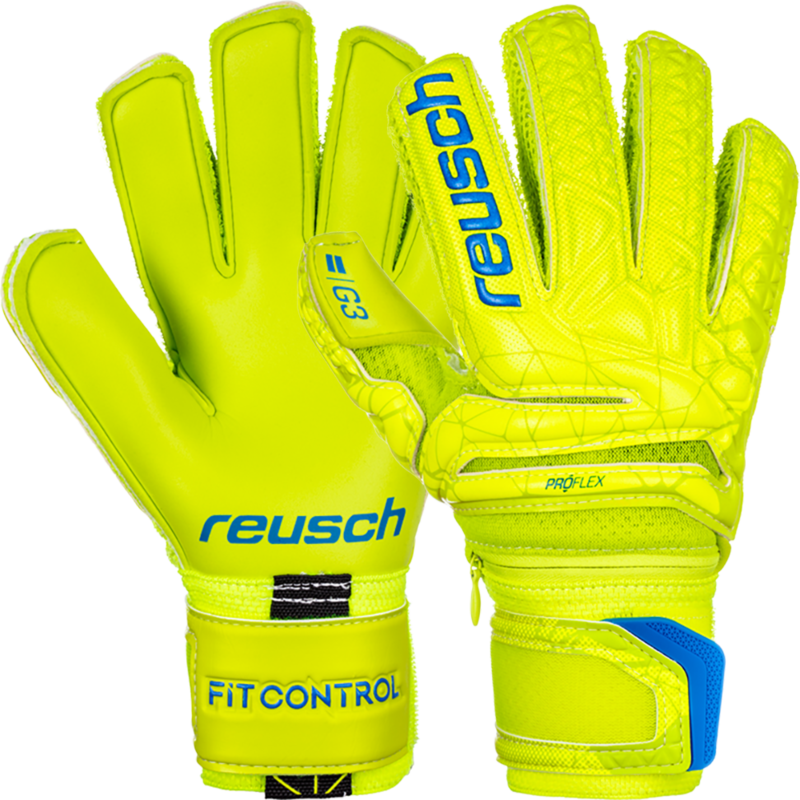 Reusch's patented two-piece dual density Ortho Tec stays in all the fingers AND the thumb. Reusch used Pro Latex foam all over the backhand for a more comfortbale goalie glove. The new stretchable P.U. backhand material makes for more flexibility for the handand an even tighter, more comfortanle fit for this goalie glove. Rolled Thumb Construction. AirVentSystem uses highly breathable Air Mesh material to make this glove more comfortable. The deep thumb notch on the face of the glove includes an elasticized piece below the foam to help eliminate tear out. Reusch also uses an elasticized thread throughout the glove to help eliminate tear out in all areas of the glove. Side mesh vents keep the goalkeepers hands cooler during use by allowing more airflow. Includes Thumbflex for more comfort and flexibility. The optimal fit and catching zone provided by the revolutionary Expanse Cut ESS (Ergonomic Support System) uses a pattern that helps the fingers to be pre-splayed (spread so the keeper has a better hand position on the ball), which helps the goalkeeper when cathcing the ball. Rolled Thumb Construction. A more ergonomic fitting flat plam that could be worn by junior and female keepers. Reusch's cut is the Backhand Side Wrap, that wraps the backhand material around the side of the hand. This feature gives extra protection to the palm material and the side of the goalkeeper's hand as well as a closer fit to the side of the hand. 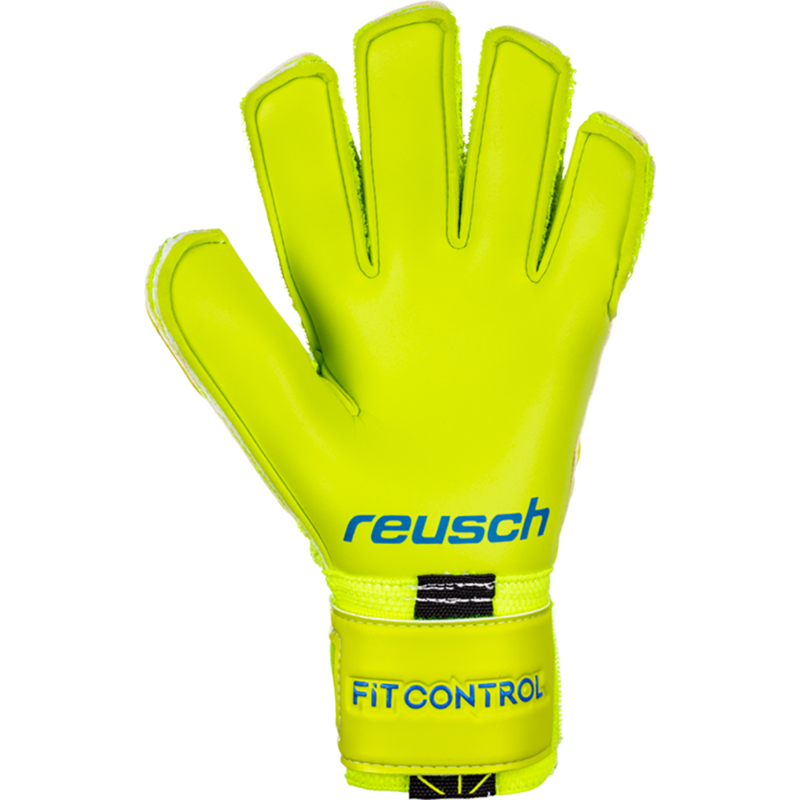 This Reusch soccer goalie glove features a new wider wrist bandage, which gives the goalkeeper greater comfort and more support. A more rugged stitched wrist band reduces the chances of tearing when pulling the glove on. Pull loop on the wrist to help get the gloves on.